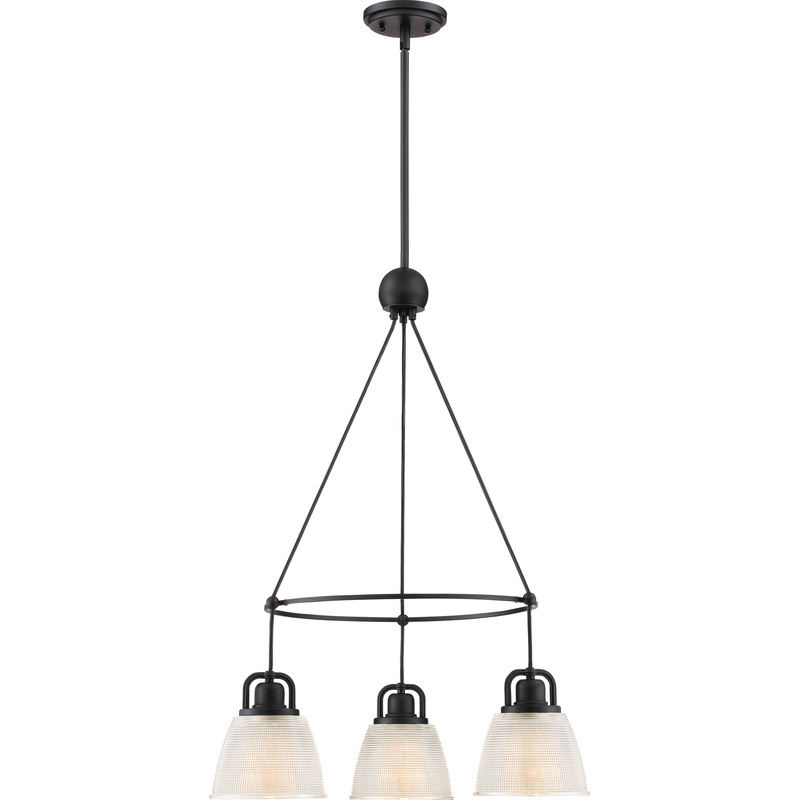 Quoizel Lighting Dublin Collection 3-Light dinette chandelier in mystic black finish, features steel construction. The press clear glass shade brings elegance to the home. This chandelier uses three 100-Watt medium base lamps that have voltage rating of 120-Volts. It measures 23.25-Inch x 23.25-Inch x 32-Inch. Celing rod mountable chandelier comes with 8-ft lead wire for easy installation. It is ideal for dinette and kitchen. Chandelier is ETL listed.